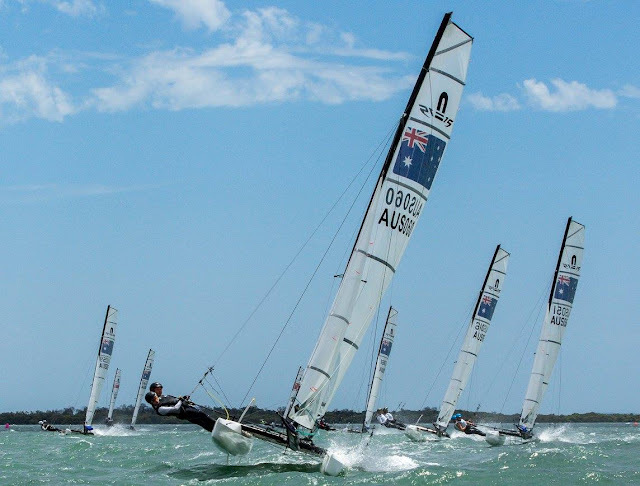 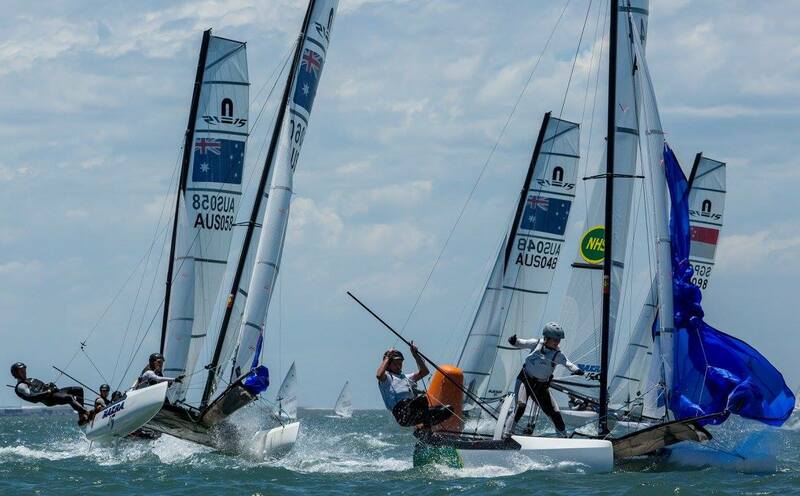 All images Australian Sailing Youth. 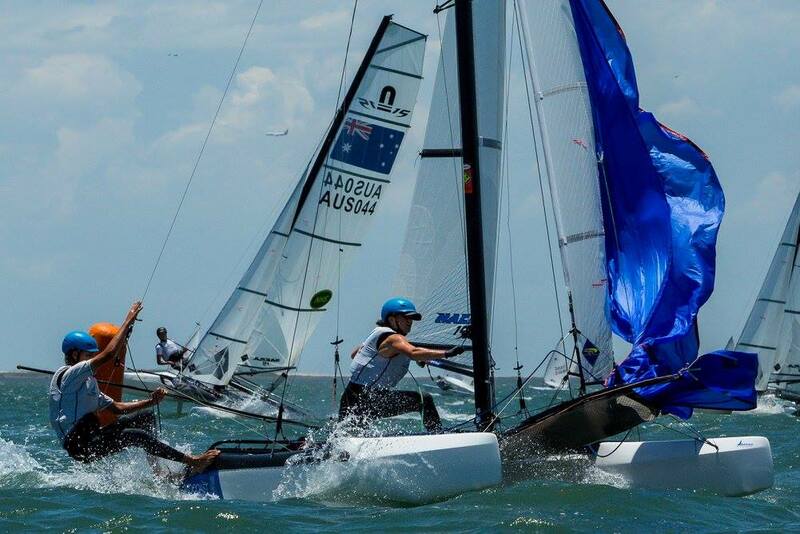 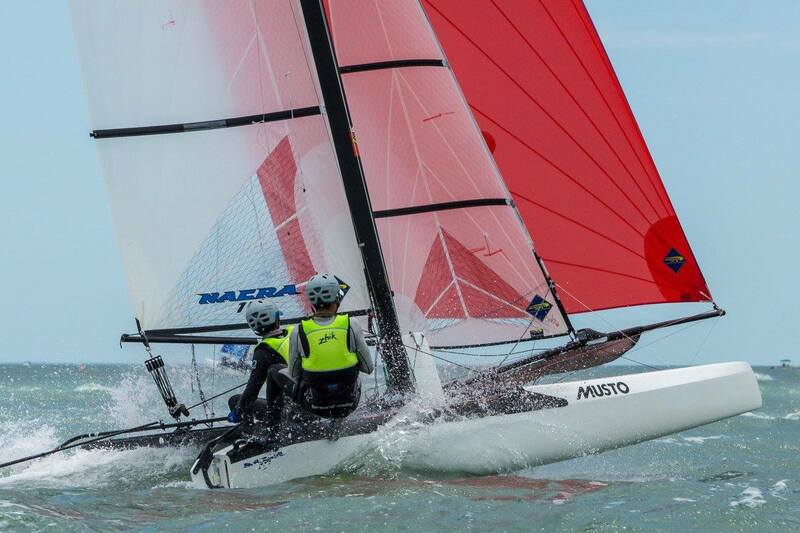 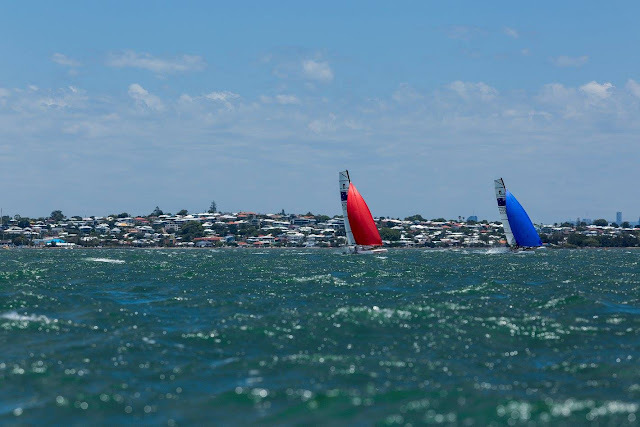 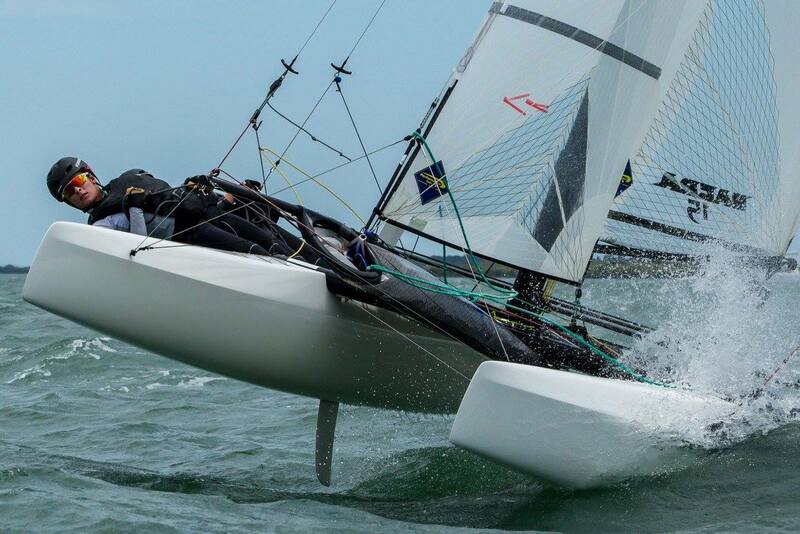 More pics their fb web.Australian Youth Championships 2018, Nacra 15Will Cooley & Evie Haseldine lead after nine races. 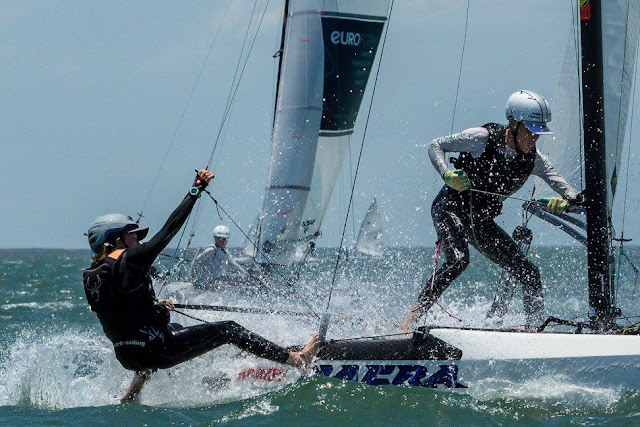 Tom Crocket & Tahnie Caldecoat held 2nd overall four points behind and Tom Dawson & Sarah Hoffman in 3rd a bit behind to fight for the title at the moment. Nacra 15 Results below. Rest of Classes here.